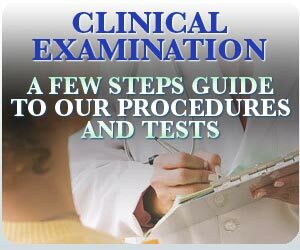 It is the ideal medical examination for a diagnosis in the field of Integrated Medicine. It is a modern scientific method to verify our health state. Despite undergoing all the conventional examinations such as blood tests, ultrasound scans, TAC, resonance, Doppler tests, etc., doctors often fail to single out the causes of many common pathologies (unjustified tiredness, allergies, dizziness, insomnia, anxiety, tachycardia, irritability, backache, skin problems, headache, colitis, gastritis, constipation, etc.) as well as of many other illnesses which are even more serious. This happens when there are one or more “functional” symptoms, that is to say, when these symptoms are not based upon an alteration of the organic structure yet, but upon a “functional weakness” which cannot be highlighted by routine clinical examinations. The functional check-up can fill this gap because it is able to analyze the functionality of every organ and its possible disorders. In addition, as regards pathologies which have already damaged organs and systems, the functional check-up lays the basis of a more detailed diagnosis and creates better conditions for recovery, especially when conventional therapies do not manage to give good results (above all in case of chronic and autoimmune illnesses). It is the most modern and scientific method to analyze our health condition because it integrates conventional medicine with the observation of additional elements, which cannot be evaluated through common examinations. First of all, it is necessary to illustrate the concept of “functional medicine” so as to understand the value of the functional check-up. Obviously, in the field of conventional medicine, it is a strange concept because we are used to examining the health conditions of organs starting from their form and structure, therefore, we usually take TAC, resonance or ultrasound scans to which we add blood tests. This is the conventional diagnostic procedure which is organic and biochemical, but not functional and energetic. Nowadays, statistic data underline that 60-65% of pathologies are due to functional causes and not to organic ones, therefore, conventional exams often fail to carry out a careful diagnosis. As a consequence, doctors often talk about “stress and psycho-somatic disorders”. However, this is a simplistic way to have a clear conscience. Furthermore, the word “stress” has an exact meaning. It was coined by Prof. H. Selye, who was awarded the Nobel prize in biochemistry, according to whom, stress is due to the functional breakdown of specific endocrine glands, that is to say, suprarenal glands. Instead, doctors find it easier to say that their patient is undergoing a stressful period when, after taking lots of negative medical examinations, it is impossible to make an exact diagnosis. Consequently, in 60-65% of cases, the patient will be called “worn-out”, “exhausted” and so on, apart from his/her symptoms. In addition, complicated words are often used to hide this difficulty diagnosing; “essential hypertension”, “atopic dermatitis” and “hemicrania or vasomotory cephalea” represent typical examples: these three “erudite” medical terms simply indicate that a patient suffers from high blood pressure, from an inflammation of the skin or from headache. In any case, these words do not possess any diagnostic meaning and they only define a problem that is already known to the patient. Carrying out a pathogenetic diagnosis that is able to single out the real causes of a disease is something different: functional medicine focuses on “causal chains”. For instance, cephalea could depend upon several causal factors (which are described in detail in the related document) and it can be treated successfully only after carrying out a differential diagnosis. Conventional medicine does not analyze causal chains and, for this reason, it is obliged to use only symptomatic drugs which produce strong side effects and do not really treat cephalea. Contrarily, functional medicine always tries to find the primary causes of a disease. Let’s make an example regarding an organic disorder of the liver. Our medicine procedures base upon ultrasound scans and blood tests to find out if a patient suffers from liver disorders and to consider a possible thickening or an increase in the transaminase. According to conventional medicine, which are the symptoms connected with liver disorders? The answer is “a few”, maybe sleepiness after meals, bad taste in the mouth, etc. 1) Tiredness in the morning that gets better and better through the day. 2) Euphoria in the evening, that is to say, people suffering from liver disorders feel better at the end of the day and they often do not go to sleep early. 3) Bad relationship with anger: people who suffer from liver disorders usually feel tense, they tend to get angry and nervous (they often repress their anger and then they allow themselves to let off the steam with people they know as sympathetic or tolerant). 4) Memory and concentration problems (they forget things of little importance such as their glasses or keys, they forget to make phone calls, etc.). 6) Sometimes, they suffer from little tachycardia or from little extra-systole. 7) They might suffer from eyes trouble such as sore or strained eyes. 8) They might suffer from giddiness, that is to say, they cannot look down when they are very high or they suffer from lightheadedness or dizziness. 9) They might suffer from venous circulation disorders (feeling of heavy legs, visibility of capillary vessels). 10) Other minor symptoms might be connected with sensitivity to the wind (they love or hate it), fear of injections, needles, syringes, headache at the nape of the neck or temporal headache, dermatitis, itch, frequent herpes, etc. However, all the above symptoms do not necessarily coexist when the energetic conditions of the liver are not good. Half of them are usually present, especially the first 4 or 5 symptoms. The liver example is very important because in this case the patient suffers from numerous annoying disorders which do not find any confirmation by way of medical examination. After all, the family doctor should send the patient to the cardiologist, to the psychologist, to the gastroenterologist, to the phlebologist and to the oculist, but since he/she already knows that they would say the patient is worn-out, he/she prefers making this diagnosis prescribing a bland tranquilizer and repeating that the patient is healthy, he/she is just a bit worn-out. However, things are not like that: that patient suffers from liver disorders that sometimes are not singled out by ultrasound scans and blood tests (almost never). That patient will never feel better if his/her organic disorder is not treated. However, before starting the treatment, it is necessary to make an exact diagnosis and this is possible thanks to the functional check-up. This section of the site is dedicated to the description of the diagnostic techniques of the Broussais Medical Centre, The Centre makes use of the most modern technologies available in the field of functional diagnostics. The aim of our medical examination is to obtain a “causal diagnosis” which can indicate the real causes of a disease. For instance, diagnosing a patient with “hemicrania” or “hypertension” just confirms that the patient suffers from what he/she calls “headache” or “high blood pressure”. The patient should be informed about the reasons that hide behind his/her disease. Therefore, a “causal diagnosis” should be carried out since it represents the only way to start a proper treatment which is different from the symptomatic treatment usually prescribed in absence of a causal diagnosis. Obtaining a causal diagnosis is the main objective of our medical examinations, therefore, we try to integrate every available diagnostic instrument, that is to say, conventional ones and functional ones. This is what allows us to make a more detailed diagnosis for the health of the patient. - The functional organometry test (EAV test) is taken to get an idea of the energetic state of organic functional systems. The functional test is carried out using an electronic machine which is not invasive in order to measure the energy of specific points of the hands and feet of the patient which correspond to the energetic meridians (or reflection areas) of organs. A study carried out on healthy people in Germany (including soldiers and sportsmen who have been checked properly) has helped deduce the values associated with good health to which we refer during the test (voltage, amperage and electric resistance). The test is based upon the use of a machine developed by a German doctor called Reinhold Voll, who was conferred an honor by Pope Paul VI for the “services rendered to humanity”. This machine allows to measure the values relating to each point that, if normal, oscillate between 50 and 58 scale units in the quadrant. In case of higher values, there is an “energetic excess” that produces irritative, inflammatory or infectious processes, whilst in case of lower values, there is an “energetic weakness” that is reflected by minor organic functionalities. - A wrists and tongue test is carried out according to the canons of Traditional Chinese Medicine. It helps single out imbalances that could not be identified in a different way. - An idrologic examination is carried out according to the needs related to specific clinical cases. - Constitutional anamnesis according to homeopathic medicine. Then, there are other examinations which are more specific. They are carried out upon request of the patient, by previous appointment, and they include mineralogram, oxidative stress test, postural examination. The data collected during the medical examination allow us to choose the ideal therapy and, in case of serious imbalances, the first examination includes a bio-resonance therapy (or MORA therapy) session as well, in order to start restoring the energetic balance immediately, that is to say, to carry out a kind of “electromagnetic reset” of the body. Bio-resonance is particularly important while facing pathologies which cause alterations in the functioning of the immune system such as allergies, asthma or autoimmune illnesses. Our medical examination or functional check-up is based upon these tests as well as on the following therapeutic and nutritional indications. 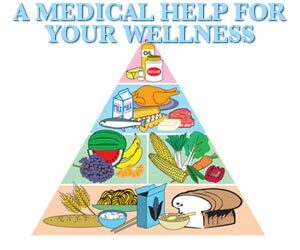 At the Broussais Medical Centre, both the functional check-up and the formulation of the nutritional and therapeutic program are carried out in compliance with the treatment protocols elaborated by Dr. Simeone over the years. This represents an absolute guarantee for the patient since every doctor of the Medical Centre has to follow each established phase rigorously; in other words, any doctor who carries out the examination has to respect a specific protocol. It means that any doctor that carries out the medical examination would do exactly the same things as any other doctor operating at the Centre, starting from the diagnostic phase to end with the therapeutic and nutritional planning. Maurizio Martelli, Giuliano Pezzanera and Salvatore Simeone are the doctors who carry out the functional check-up at the Broussais Medical Centre.